Michael John Lumb (born 12 February 1980) is an England international cricketer who plays for Nottinghamshire at county level and England in Twenty20 International cricket and One Day International cricket. Born and raised in South Africa, Lumb is a left-handed batsman and a right-arm medium pace bowler. He became only the second cricketer after Dennis Amiss to score a century on ODI Debut for England and ninth player overall to do so. 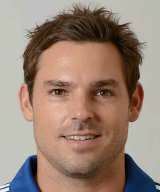 The son of prolific Yorkshire opener Richard Lumb, Michael Lumb was born in South Africa and was educated at Montrose Primary, then St Stithians College in Johannesburg. Lumb made his way through the junior teams in Transvaal before returning to his roots to play for Yorkshire. 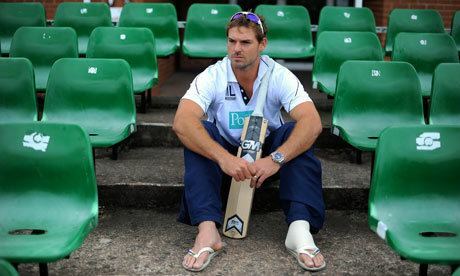 A hard-hitting batsman, Lumb made his county debut in 2000, scoring 66 not out against the touring Zimbabweans. A knee injury in 2001 meant that Lumb played only a small part in Yorkshire's success in winning the County Championship that year, although he did record a maiden first-class hundred against Leicestershire. In doing so Lumb became part of only the fourth father-and-son pair to score centuries for Yorkshire. Lumb made progress in 2002 by becoming a regular member of both the championship and limited-overs sides and, in 2003, scored close to a thousand first-class runs at an average of over 40, including two centuries and six fifties. He was selected for the ECB National Academy squad the following winter, but failed to kick on as people expected and was dropped by Yorkshire during the 2005 season. 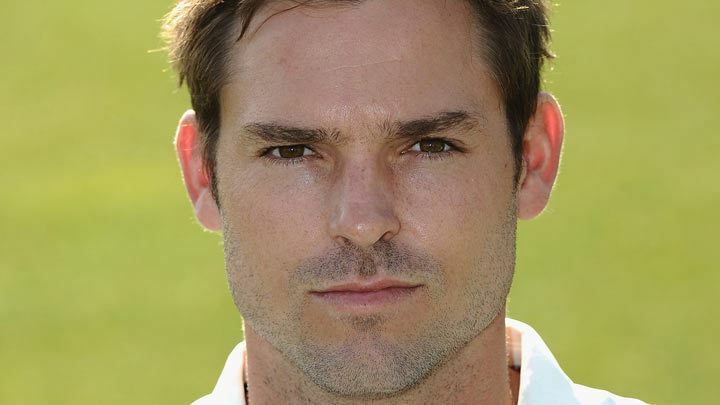 He averaged in the middle-thirties for the 2005 and 2006 seasons, with a top score of 144 in 2006 but, at the end of the season, decided against renewing his contract and moved to Hampshire for the 2007 County Championship. In July 2009 some good form for Hampshire, particularly when opening the batting in the One-Day and Twenty20 games, led for his inclusion in the England Cricket Team's provisional 30-man squad for the 2009 ICC Champions Trophy taking place in South Africa during September 2009. Hampshire progressed to the Friends Provident Trophy final in 2009 and Lumb shared in a 93 run opening partnership with James Adams against Sussex as Hampshire forged a six wicket win at Lord's Cricket Ground. In the semi-final Lumb had also impressed scoring 76 against Lancashire as he and Adams put on over 150 for the first wicket. Lumb made his highest first-class score against Nottinghamshire during a 2009 County Championship game, making 219 runs in Hampshire's first innings. Lumb was signed by former Hampshire teammate Shane Warne to play for the Rajasthan Royals in the 2010 Indian Premier League, in a deal worth a reported £30,000. For the season of IPL 2011, Lumb was picked up by Deccan Chargers. On 10 November 2010, Lumb agreed to terms with the Queensland Bulls to play in the 2010/11 KFC Big Bash season. On 22 July 2011, Lumb signed with the Sydney Sixers for Australia's Big Bash League as one of their two allowed overseas players He was part of the Sixers' squad that won the 2012 Champions League Twenty20. Lumb scored an unbeaten 82 in the final and was named man of the match. 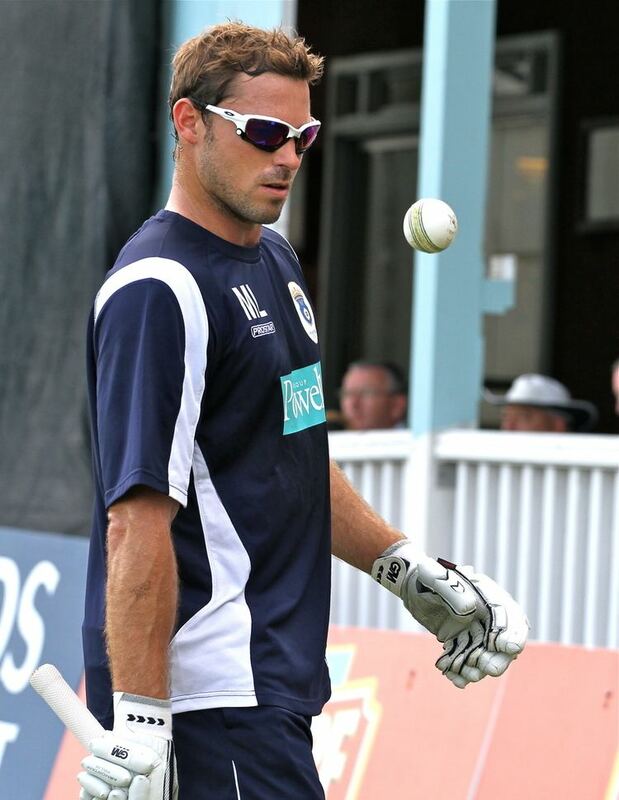 It was announced on 10 August that Lumb would join Nottinghamshire CCC from the 2012 season, on a 3-year deal. Lumb was selected in England's fifteen man squad for the 2010 ICC World Twenty20 held in the West Indies. He made his Twenty20 International debut against the West Indies, where opening the innings, he hit a quickfire 28 before being bowled by Chris Gayle. Lumb played in all of England's seven matches in the tournament, where he helped to form a fast paced opening partnership with Craig Kieswetter. Lumb scored 137 runs in the tournament at a batting average of 19.57 and a high score of 33. Lumb ended on a high note by collecting a winners medal, as England defeated Australia by seven wickets to win the tournament. During the match he ran out David Warner and scored two runs with the bat off four deliveries. He scored a match winning 50 against India on the second of two games and proved that he deserved a place in the England team. Lumb made his ODI debut against the West Indies on 28 February 2014, where he scored a century.In the same tour he scored his highest T20 score and a few months later he was part of England's 2014 World T20 Cup squad in Bangladesh, playing in all of England's matches.